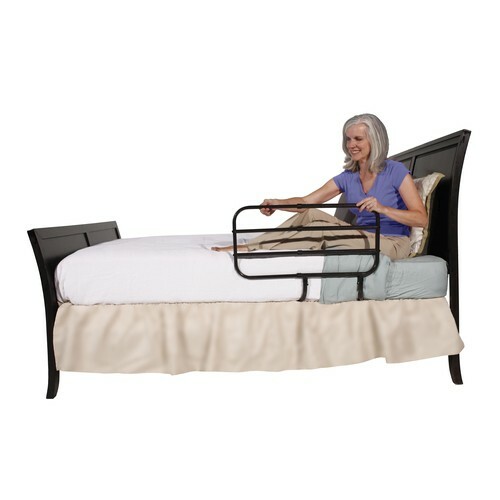 The Bedside Extend-A-Rail by Able Life allows you to adjust the length of your bed rail while you are in bed. Simple push a button and extend it to 30" for fall prevention. 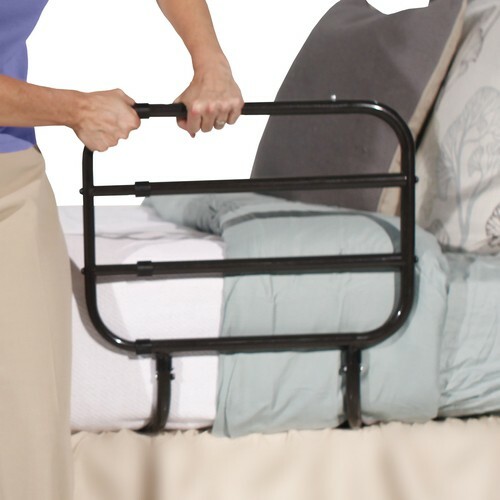 For a handle to help getting in and out of bed safely, adjust it back to 20". The included pouch offers convenient storage pockets to keep your items close by. Supports up to 300 lbs. Safety strap is included to help secure the bed rail against the mattress. Accommodates either side of the bed and supports 300 lbs. 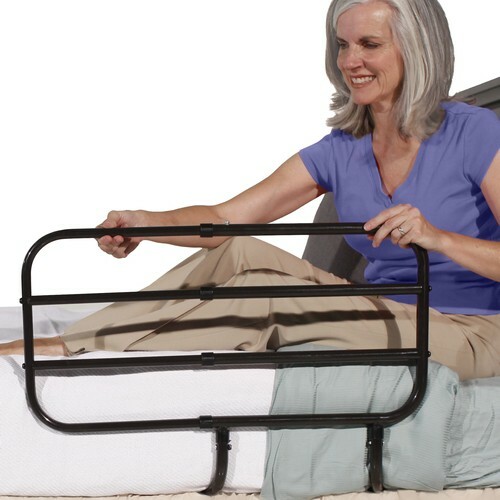 The rail is able to attach to any bed frame. Where is this item made, country of manufacture? The manufacturer is headquartered in Logan, Utah. 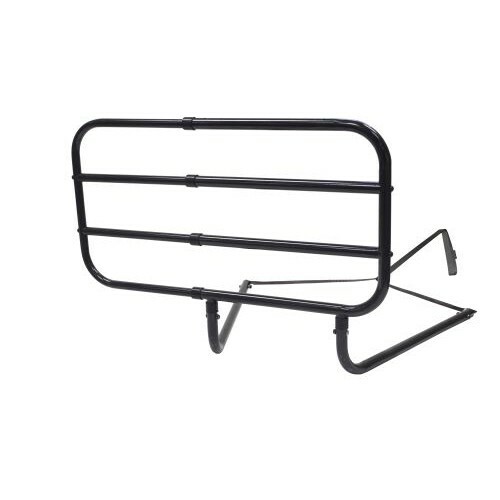 I want to know if rail could be used on an adjustable bed that Costco sold last year ? 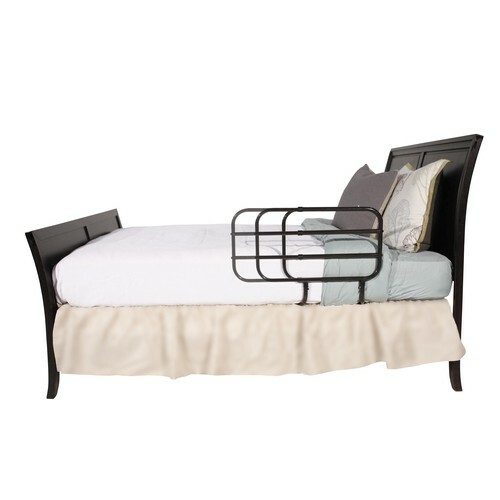 The manufacturer states this item can be installed on traditional and adjustable beds. can this be returned if it's not the right product for us?